Large wavy rim soup plate. 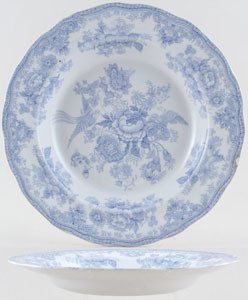 Backstamp: Asiatic Pheasants B & L Middleport Pottery and impressed B & L England. Some surface scratching with a little discolouration and small chip to the rim.